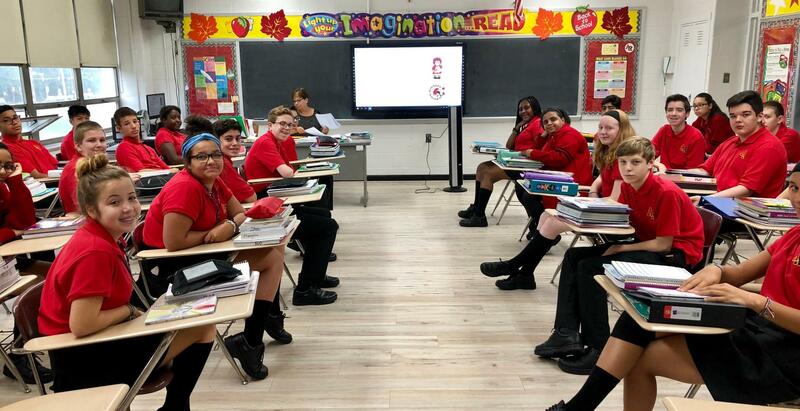 For the first time in its history, Archbishop Ryan High School has organized a multiple-year gift campaign, entitled AR Resurgence Program. The campaign is necessary to ensure that students, families, and faculty may all benefit from surroundings and resources conducive to Ryan's educational mission now, and into our next decade of development. We have identified five high-impact fundraising objectives to support and implement the strategic plan over the next one to three years - Outdoor Digital and Static Signage, Auditorium Improvements, Gymnasium Bleachers, Classroom Upgrades, and a Multi-Sport Turf Field. A 41” x 99” full color electronic video message board facing both directions on Academy Road, with custom content on Ryan news and events. Static signage at each of the North and South driveway entrances, guiding visitors to the correct office doors - very important for building security and personnel resources. Archbishop Ryan High School is proud to have the premier High School Theater Arts program in the Philadelphia area, with students performing in two major musical productions a year on the main stage in our Auditorium. This program works in conjunction with our musical academic program, and is designed for students who are interested in singing, dancing, and acting. Students on our Stage Crew also obtain valuable technology skills in set design, production lighting and sound. Archbishop Ryan performances have been compared to Broadway productions thanks to the talents of our students and staff! In addition, the Archbishop Ryan High School Auditorium is used for assemblies and Masses for students, and we have served the community by hosting conferences on opioid awareness, depression/anxiety, and financial aid for college students and families. Archbishop Ryan High School, including the Auditorium, was constructed in 1966 and the seating and flooring are original. 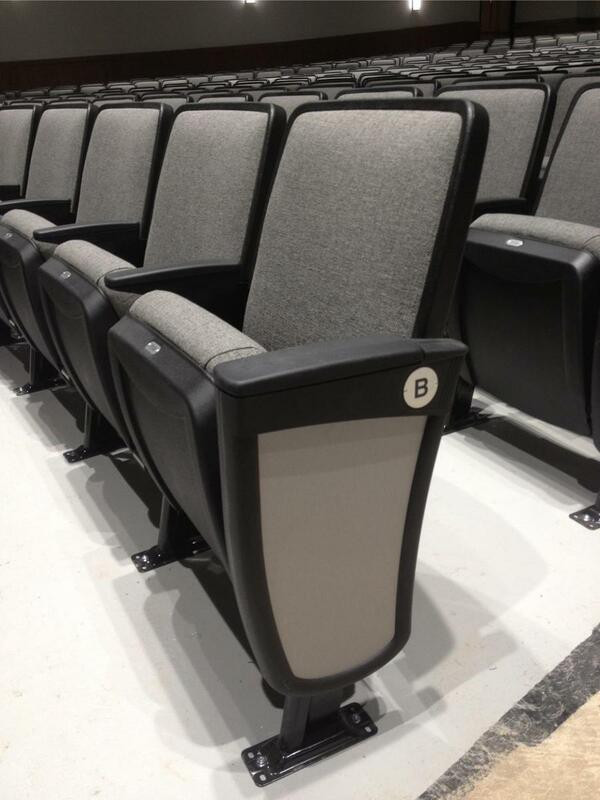 Upgrades are needed for safety of students, families and community guests. 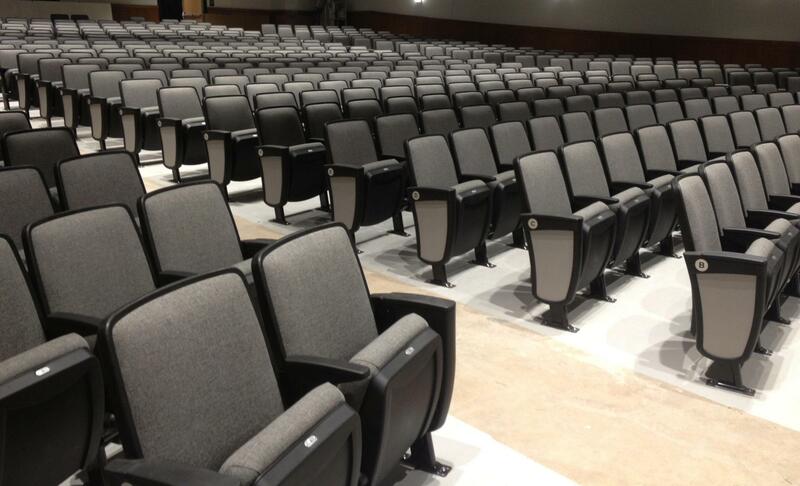 The Auditorium Improvements require general seating and handicap accessibility, HVAC, and flooring. 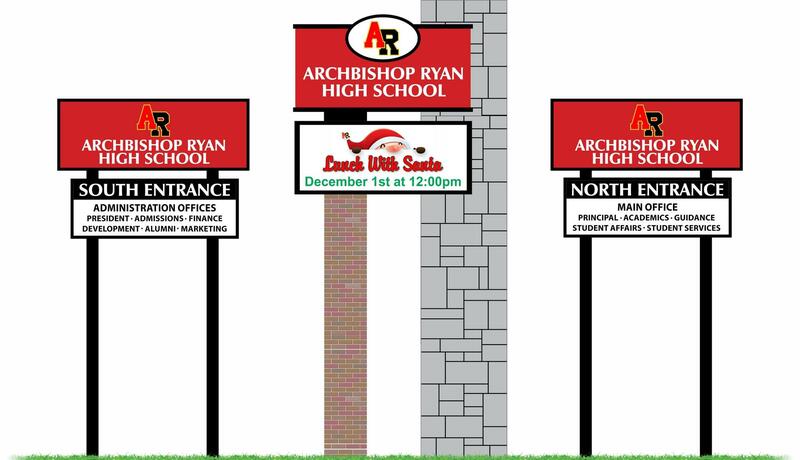 Archbishop Ryan High School opened in 1968 as two schools - Boys Side and Girls Side - with shared facilities like the auditorium and chapel in the middle. Therefore, there are two gymnasiums that are primarily used for athletic events: basketball, volleyball, daily gym classes, etc. The gyms are also used for student game assemblies, dances, class reunions, and fundraising events. 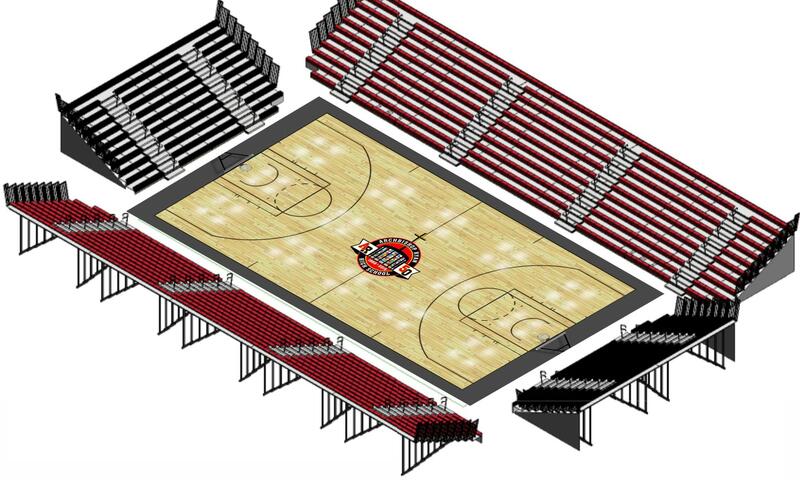 The Gymnasium Bleacher seating and flooring are original. 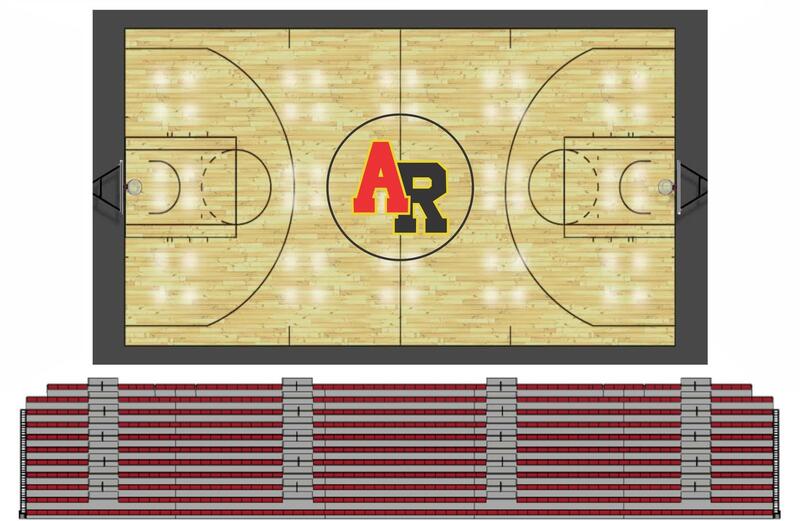 Upgrades have been made to the floors, but replacement of the bleacher seating is necessary in both gyms because the mechanism for seating expansion is damaged in many sections. The primary concern is for the safety of our maintenance staff and event spectators. Donors of completed classrooms are recognized with a plaque mounted above the doorway, and in a listing on a Classroom Donor wall plaque permanently mounted near the administration offices. The Classroom Upgrades can be dedicated to parents, families, teachers, businesses, or anyone designated. 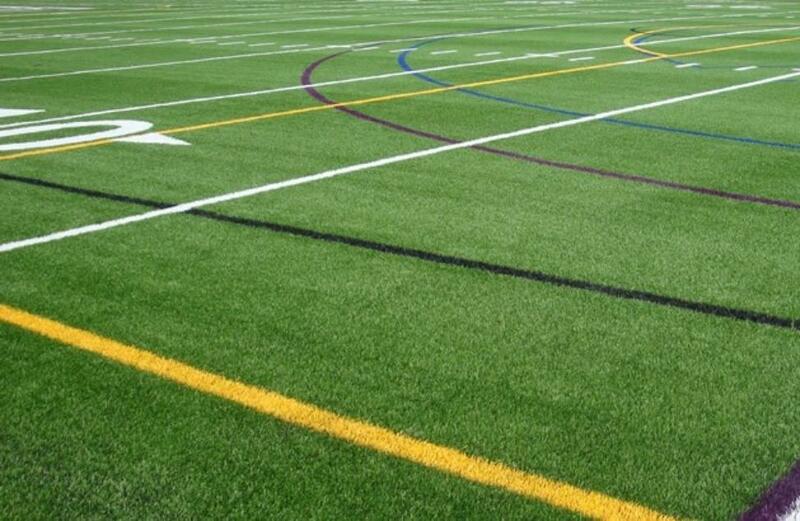 To further place Archbishop Ryan High School as the center of our Northeast Philadelphia community, plans are underway for a Multi-Sport Turf Field with Spectator Stands. This facility will be a draw for prospective student athletes that will contribute to the success of our athletic programs, and therefore increase admissions to Ryan. The overall objective is for Ryan to be an Archdiocese and City of Philadelphia "super site" for championships and tournaments, creating a sustained revenue stream.